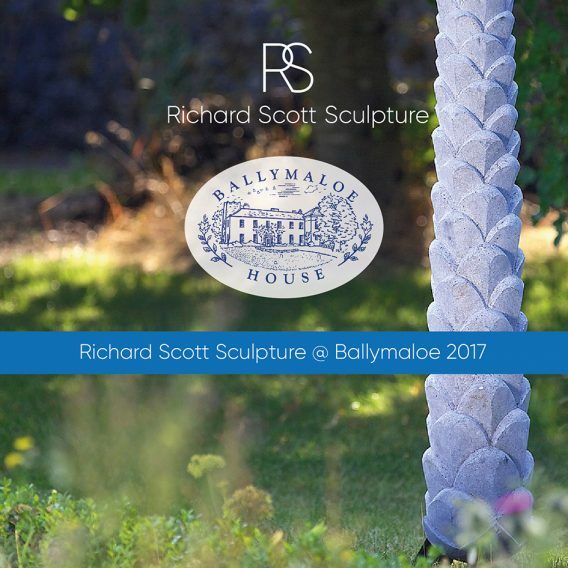 We have opened the annual outdoor sculptural exhibition at the always alluring grounds of the magnificent Ballymaloe House There are fifty pieces from some of the finest of Irish sculptors. The exhibition shall run throughout the Summer up to and including the first weekend in September which see Ballymaloe House host their annual Garden Festival. There shall be a guided walk-through the exhibition every Tuesday and Thursday night at 6pm. The tour of the works generally takes about and hour to complete, it is free of charge and no booking is required. We would love to see you there at some time this Summer.